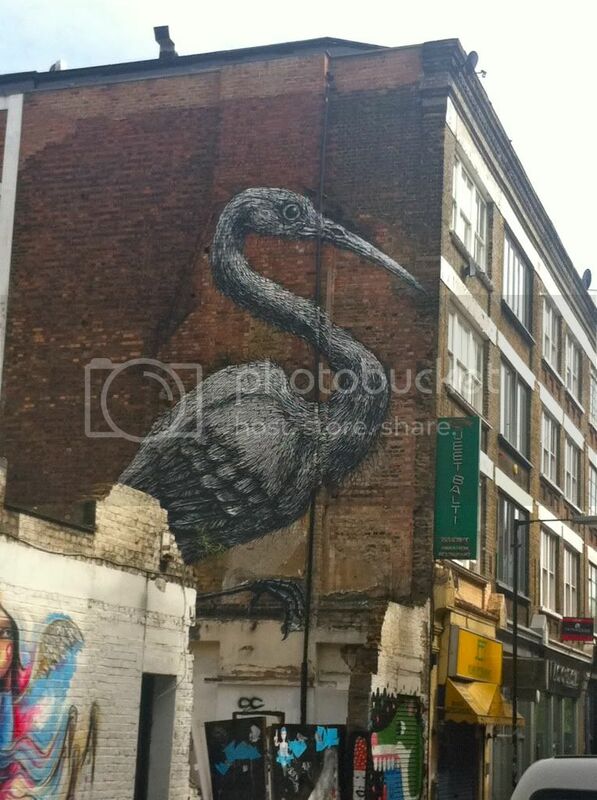 I got so over excited when I saw this giant bird on a wall when on Brick Lane a few weeks ago. 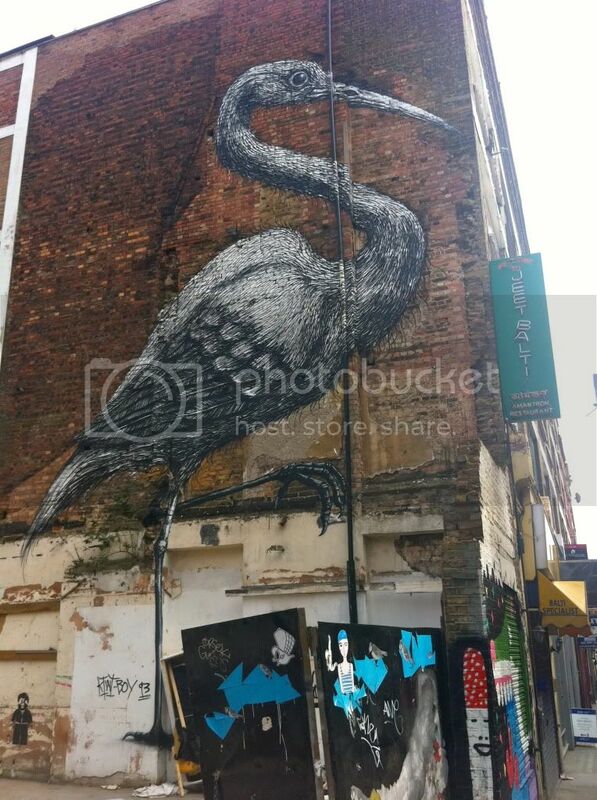 Roa is a graffiti artist from Belgium, who I have been meaning to blog about for a while now, after coming across his blog. 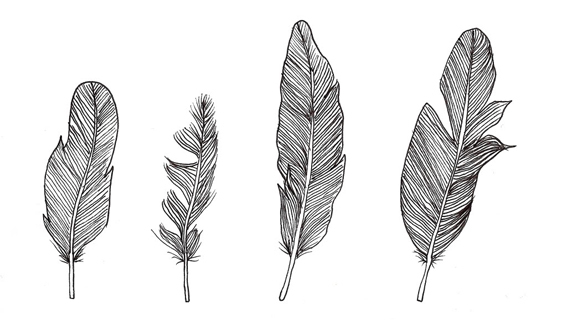 The scale and detail of his illustrations are amazing! 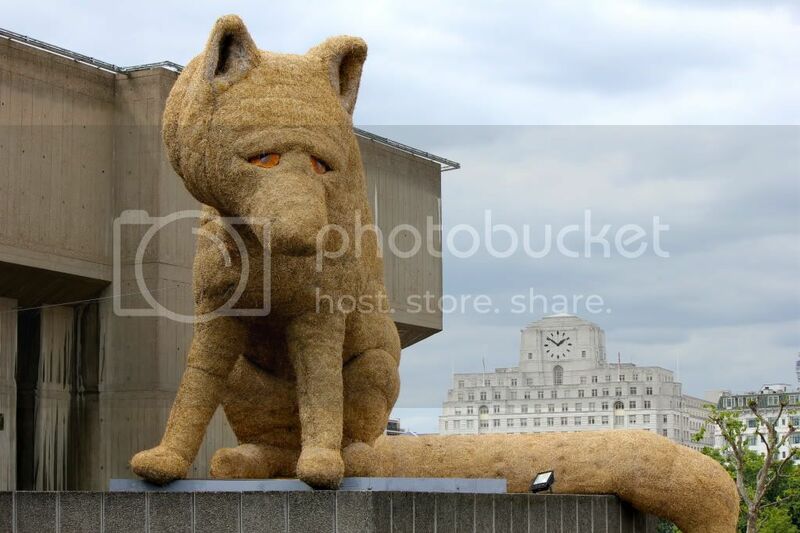 When but I also found this giant fox sitting on top of the Hayward Gallery, I thought I may as well include them both together! 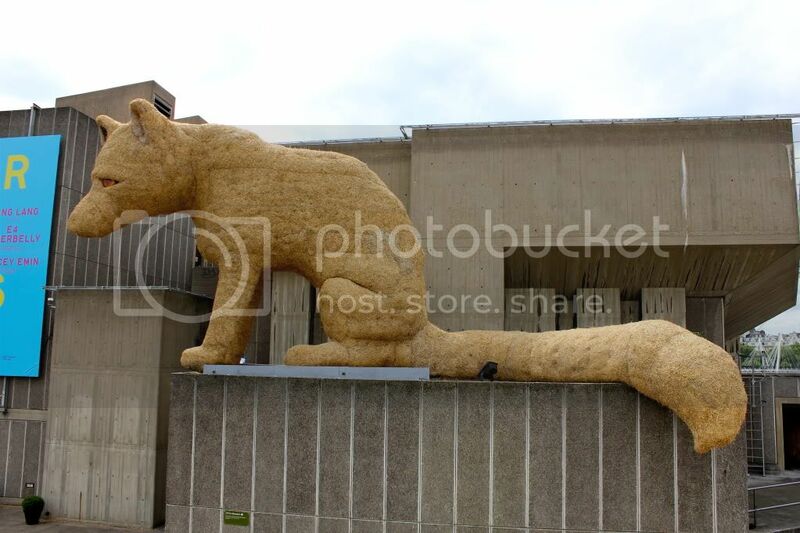 The straw fox is part of the Festival of Britain 60th anniversary celebrations. Apparently there is a giant rabbit around the Covent Garden area too. With that and all of Roa's different animals scattered over the city I could spend a day going on a giant animal hunt...if only I had the time!